These sponsors are listed below. We encourage you to visit their websites, call them, or drop by their businesses or when you see the individual sponsors to let them know you saw them on our website. Kittery Estates is part of Holiday Retirement. 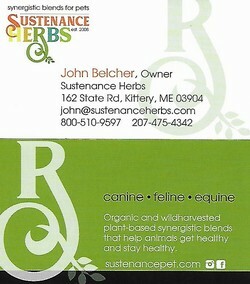 Owner Visit our website:	sustenanceherbs.com.